Last week I reviewed a book by Ed Verosky on 10 ways to improve your boudoir photography . Ed was generous to give one of adidap readers a free copy of his e-book. Many of you have participated in our contest and now comes the time to choose the lucky winner. 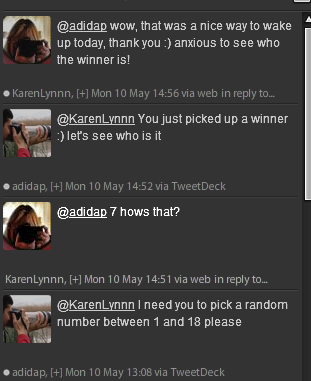 I have received 18 comments from people showing their interest in the book and, to be fair for all, I randomly selected @KarenLynnn to pick the lucky winner! So congratulations are in order for Fred , you have till Tuesday 23:59 GMT to claim your win by leaving a comment here, otherwise we will have to choose another lucky winner !